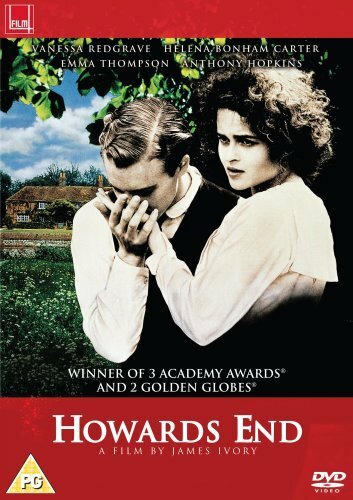 The Oscar-winning movie Howards End is a favorite among those of us who are hooked on houses. 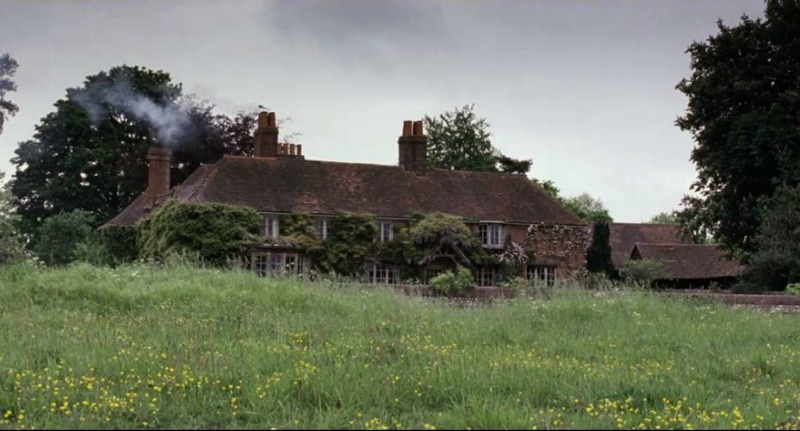 I think it’s because we can relate to how much Ruth Wilcox (played by Vanessa Redgrave) loved her ivy-covered cottage in the country. 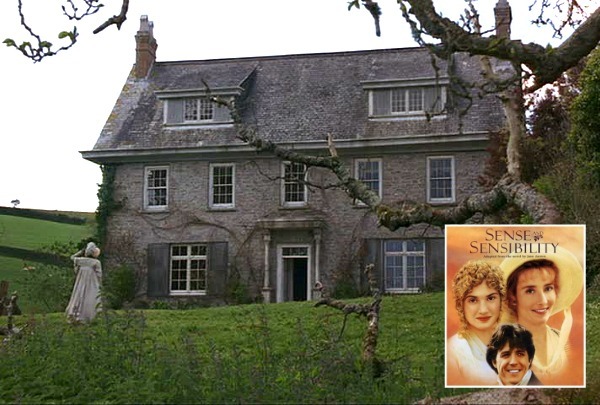 The 1992 Merchant-Ivory Production filmed on location at this beautiful old home known as Peppard Cottage in Oxfordshire, England. It’s on the market for the first time in decades, so let’s compare how it looked onscreen then to the listing photos today! Overlooking Peppard Common, the house is set back from the road and is surrounded by beautiful mature gardens. It is the first time the house has been on the market for many years and offers a great opportunity to update and create a fabulous family home in a well located position. There are 9 bedrooms + 6 bathrooms in the house. 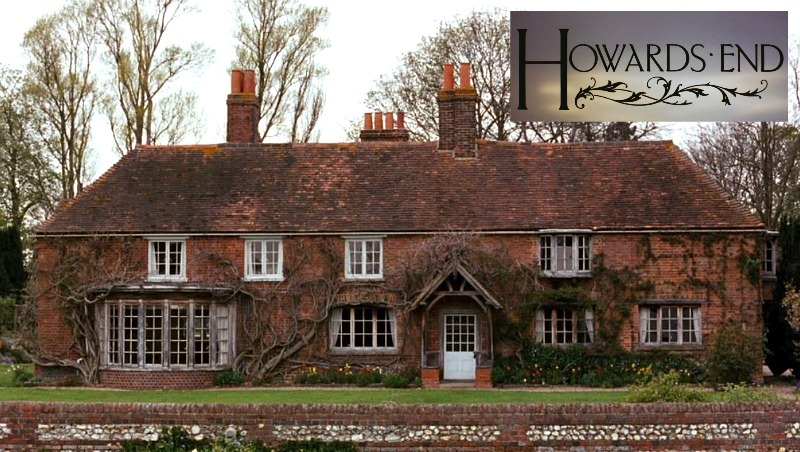 Funny to our modern ears to hear a 9-bedroom house called a “cottage,” but the wealthy Wilcox family in Howards End spent most of their time in residences that were more formal and grand. It may have been a more modest house than their others, but Ruth Wilcox considered this one home. A wonderful family house with a floor plan offering flexible family living and an opportunity for secondary accommodation accessed by a separate staircase and entrance hall. Boasting an abundant wealth of character with wonderful exposed oak beams and frame, flooring, carved wall panelling and staircases, a mixture of inglenook and pretty tiled fireplaces, flagstone floors and unique windows, doors and skylights. Note: There are Amazon affiliate links below that may earn me commission. The house sits on 2.31 acres in Peppard Common near Henley-on-Thames, and they’re asking £3,950,000 (a little over $5m). Thanks to Teresa for telling me about it! For more photos and information, check my original post about the cottage and the Knight Frank real estate listing. *There are Amazon affiliate links in this post — thanks! Inside the Real Houses from the Movie "Keeping Up With the Joneses"
Be still my heart. One of my favorite movie houses ever! I’d kill for a house with an inglenook. Glad they removed the very 1980s floral wallpaper border in this panel: “Emma Thompson and Helena Bonham Carter in the one of the “reception rooms:”. Nothing screams 80s like those! That’s why I like keeping houses interior design as close to the original as possible, while keeping the wiring and plumbing up to modern standards and code. I just adore this house and I think of all the Hooked on Houses posts, by far this one is my favorite. Thank you Julia for featuring this house, it is a dream. I have not seen this movie and would love to see it so I’ll be looking for it. It is such a warm homey place that is very large, but I can tell it is well-loved by every inch of home decor details. I think this place will sell fast unless this is common in this part of England. Sue, I believe it’s available on Netflix currently. It is one of my all-time favorites! What a gorgeous home! I’m excited to add a new must see movie to my list, and was glad to find it available for streaming on Netflix! Wonderful, Thank you for posting ! Loved that movie. Oh my goodness, that is a gorgeous home. I will have to watch Howard’s End again. Julia, thank you for brightening my day! Thank you Julia. What a wonderful house and grounds. I must say though, I really love the small cottages you have shown from time to time. I could picture myself living in one of them for sure. Gorgeous house. I’d snap it up if I had the money. Loved the movie, too. 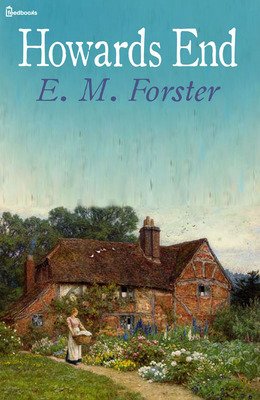 Great book, great movie and a great home. Oh to wile away the days on the grounds. Thanks for posting this! WOWZA! Stunning in every way.